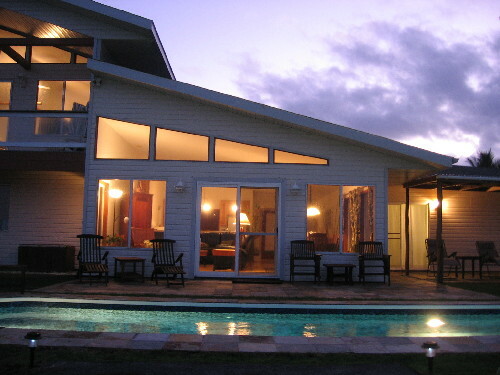 38\' Lap Pool & Hot Tub! 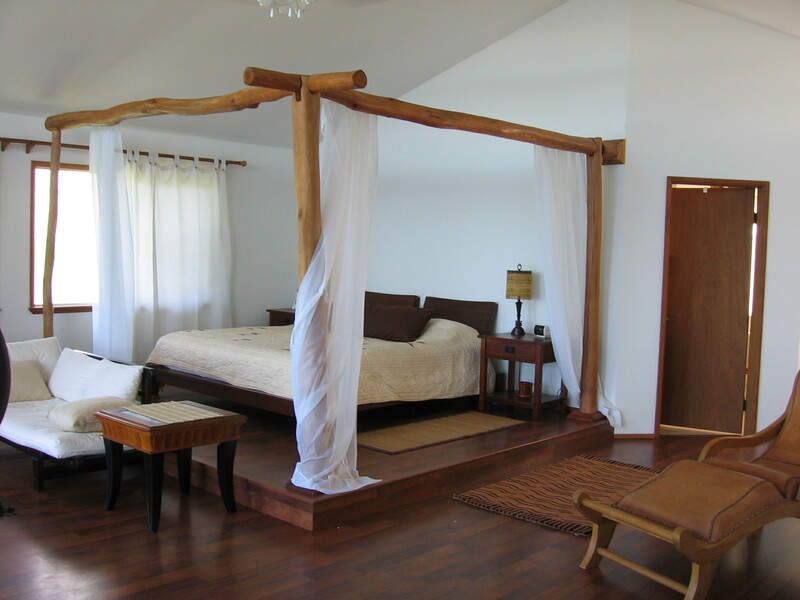 Romantic Canopied King Master Bed! Crashing surf right in your back yard! 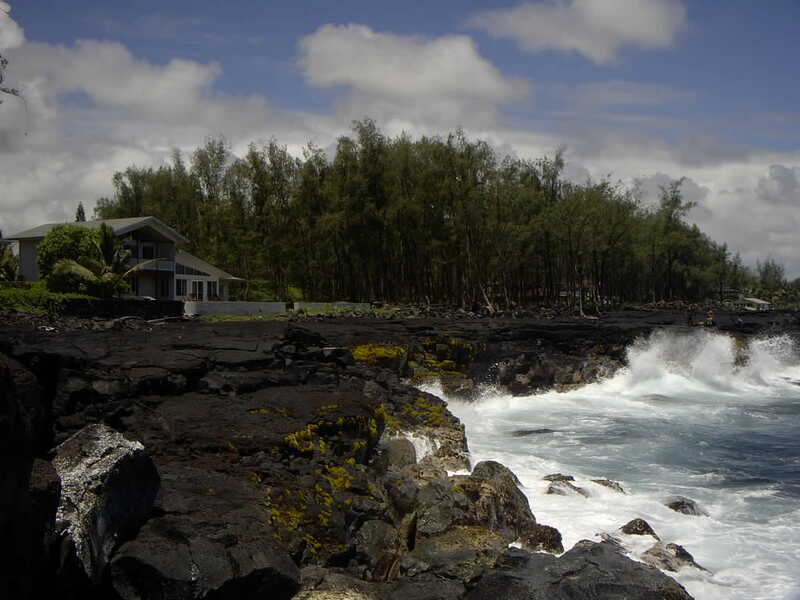 Do you want to live on the oceanfront, breathing the clean sea air and watching the waves splash white foam on the black lava rocks? View whales and dolphins at sunrise from your king sized, canopied platform bed? Walk in rainforests and wade to waterfalls, immersing yourself in astounding natural beauty? Would you like to explore the most active Volcano on earth, day or night? Do you want to vacation in a new, luxury home, with 2200 square feet and 1/2 acre of room for family and friends, a private Lap Pool and Hot Tub by the sea? Do you want all this just 15 minutes from shops, restaurants, and all conveniences, and just one direct flight from the US mainland? 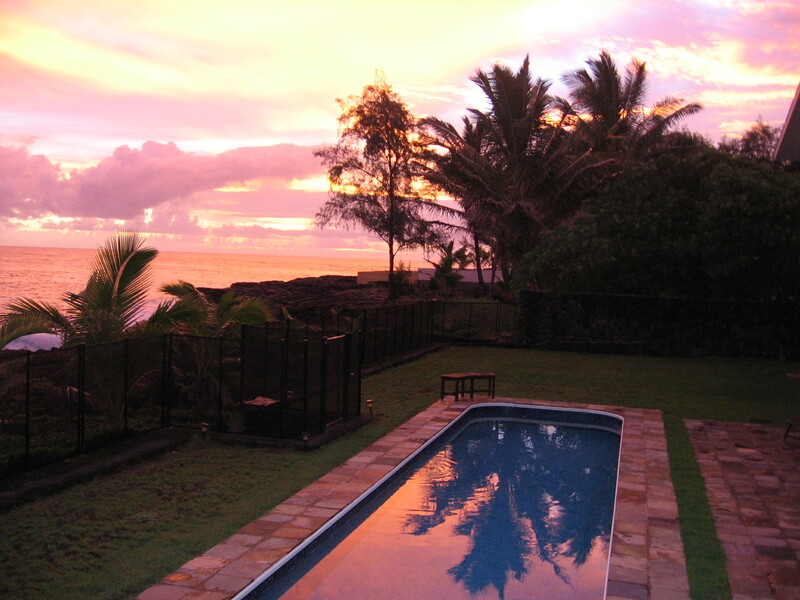 Then come enjoy Hale Mar: for the discerning vacationer! Black sand beaches, golden sand beaches, hiking, bicycling, golf, horseback riding, tide pools, snorkeling, scuba, surfing, skiing, volcanoes, orchid farms, art galleries, wine tasting, waterfalls, rock climbing, romance and more await your vacation pleasure. nuts, and orchids, as well as its active volcano! machine) with ocean and TV views; workout tapes. *Backyard fishing, crabbing & tide pools. * Winter whale & dolphin watching. * Coastline strolling, jogging, photography & picnicking. 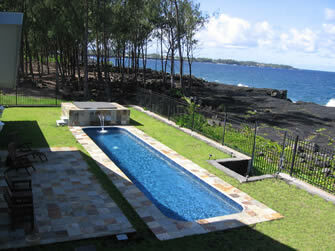 *Swim with turtles on black sand beach. superb snorkeling and scuba spots. dozen or so world class observatories located at the top. February - March are the best months for snow. evening, free of charge, with life guards on duty during the day. some of the pools are volcanically heated! several visits, both day and night, to see its full splendors. form every day - live lava flows often visible. There are about 20 golf courses on the Big Island of Hawaii. collection of information, photographs and first hand accounts. Volcanoes National Park and the Volcano Golf Course. 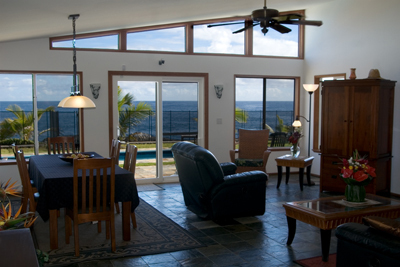 Bedrooms * Huge, romantic Master Bedroom with king size bed, private ocean front deck, work out area & panoramic views. 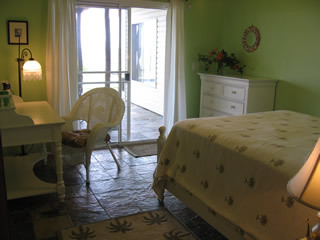 * Second bedroom with double (full size) bed, exotic mosquito- net canopy, slate floor and sliding glass doors out to ocean. * Third bedroom with single bed, ocean & garden views, natural slate floor. * All new mattresses, down pillows, and luxurious high thread count linens. * Futon & air mattress also provided for additional sleeping capacity. 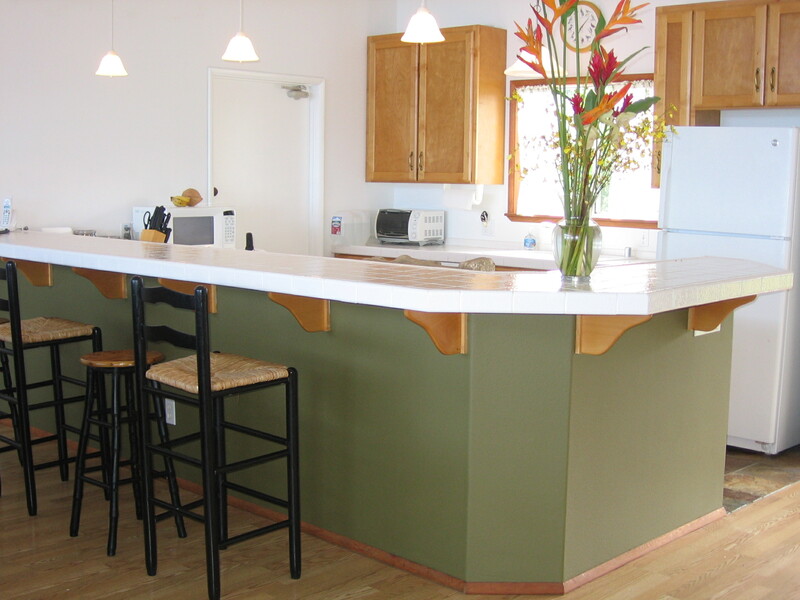 Kitchen * Bright, modern, fully equipped with all new appliances, cookware & pantry staples (salt, pepper, tea, etc.) * Microwave, dishwasher, coffee maker, toaster oven, blender, ice maker. Media/Entertainment * 2 large color TVs with built-in DVD/VCRs, CD players and Satellite TV. Some videos provided, rentals nearby. * Cordless telephones throughout (local calls free); fax machine. 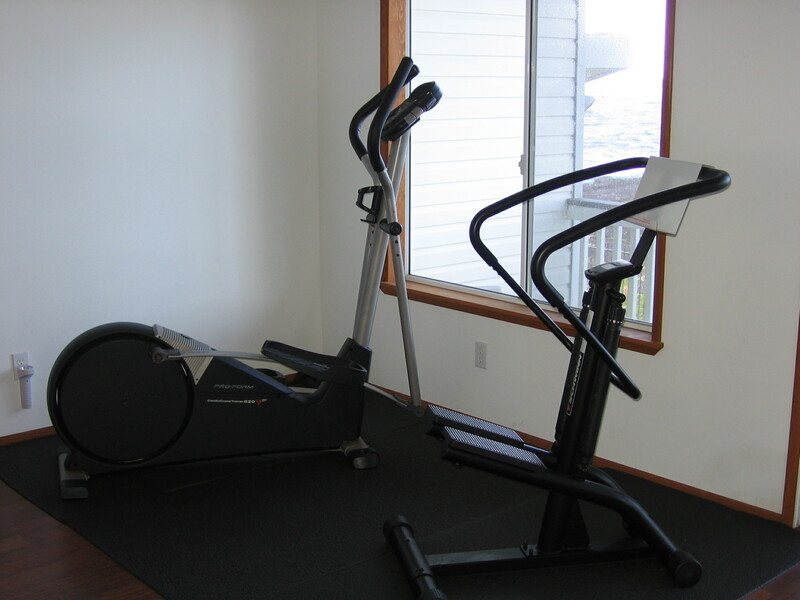 * FREE High speed Wireless Internet access throughout property and at hot spots in town (please bring your own laptop.) 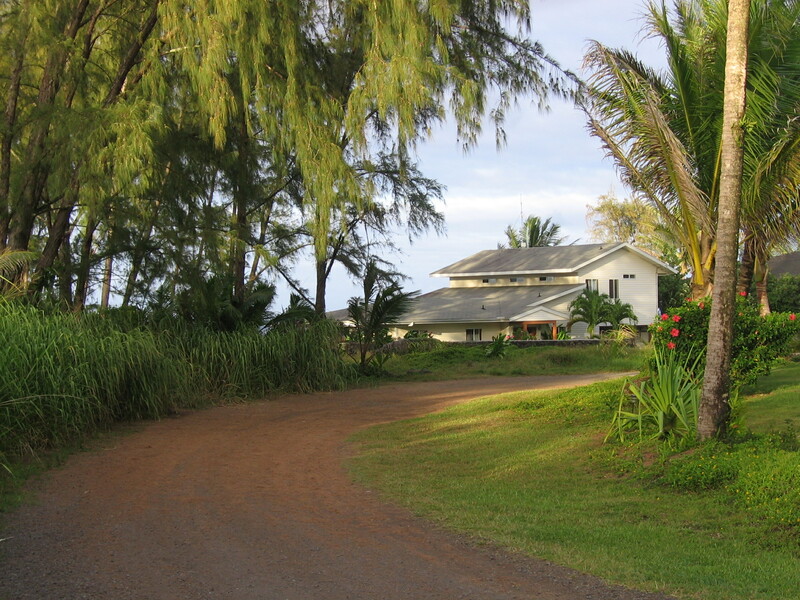 * Internet Cafe nearby in Pahoa. Bathrooms * Master Bath has tiled shower, walk-in closet; all new construction. * Full Bath on ground floor with bath tub and shower, tile floors. Living Areas * Large, beautifully furnished open living and dining area with slate floors and ceiling fans. * Panoramic view of ocean, whales, crashing surf from all living areas. 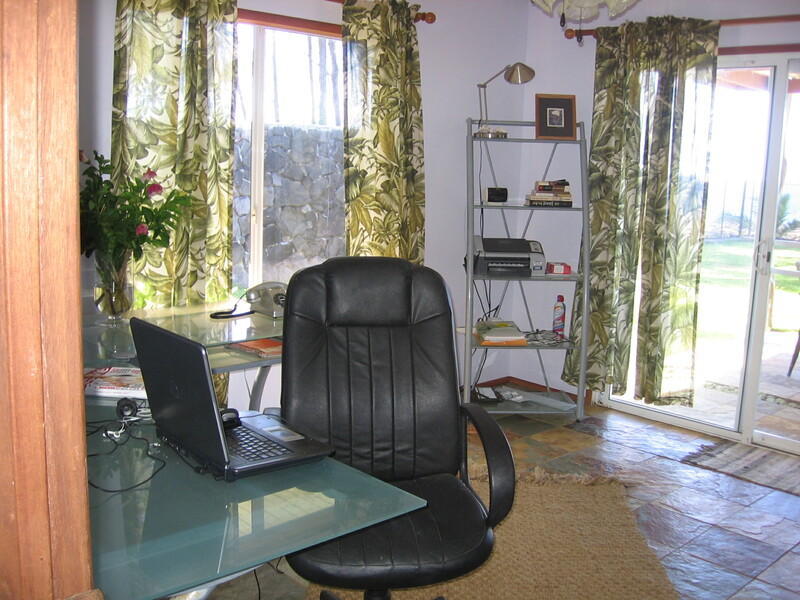 * Home office suitable for meetings or privacy; ocean view, fax machine, phone, large desk, high speed wireless internet access Ambience * Quiet lane of private homes on large lots; no through traffic. * Air filled with sounds of birds and sea. * Fabulous stargazing at night. 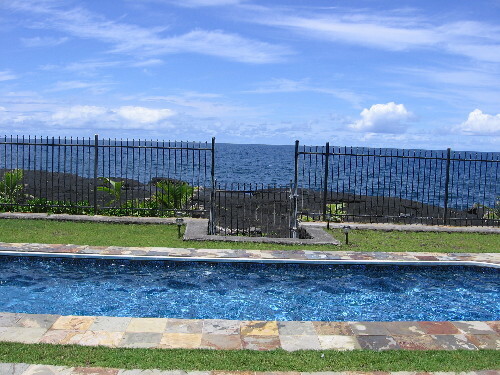 * Spectacular 24 hour views of "Your private ocean" on your own half acre of Hawaii. Other * Gate, garage with automatic opener * New large washer and dryer * All linens provided; just bring your personal toiletries. * Let us know your special requests. See our website for guestbook comments!